And in many animals, the tiniest components of an odor can them give social cues about what food to eat, how to treat each other, and who to mate with. 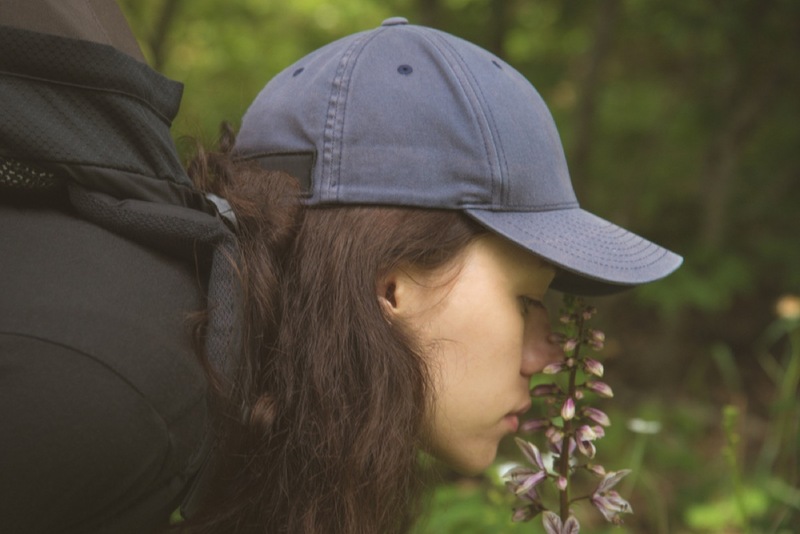 University of Florida professor Steven Munger explains the nuances of smell and its importance not just for sharp-nosed rodents, but also for us. Plus, he addresses why the percentage of the population dealing with smell disorders deserves the best treatment we can sniff out. And we asked you on Twitter what your favorite smells are. Check out some scents below! ❓This week’s show we’re talking about what the nose knows with smell researcher @stevenmunger @UFCST. What’s your favorite smell? Ponderosa Pine tree and the smell of the Bull Mountains after a gentle spring rain. Two of the most beautiful smells ever. Without a doubt … rose geranium. Immediate reaction of happiness to it – no matter how many times I’ve smelled it. Read Munger’s lab’s study on mice’s abilities to pick up on social signals with their sense of smell. Learn more about the University of Florida’s smell disorder clinic. Steven Munger is the director of the Center for Smell and Taste and a professor and vice-chair of Pharmacology and Therapeutics at the University of Florida. He is based in Gainesville, Florida. IRA FLATOW: This is Science Friday. I’m Ira Flatow, broadcasting today from the studios of WUSF at the University of South Florida in Tampa. A bit later in the hour, how digital reading is changing the way our brains work. But first, autumn leaves, burning wood smoke, onions sauteed in butter, or mom’s rice and beans, hamburgers sizzling on the grill. You hungry yet? Well, we asked our listeners on Twitter for their favorite smells, and these were just a few, along with rose, geranium, new car smell, or a new baby. Now think about life without those smells– without any smells at all. It’s a lot dimmer, right? Even isolating. And my next guest says that there’s good reason. The smells are perhaps one of our more underrated senses, but it’s one that rules the social lives and behaviors of many animals. Rodents learn what’s safe to eat from sniffing each other’s saliva. Dogs follow scent trails. And even we, humans, we can detect odors better than we think we can. Dr. Steven Munger is professor of pharmacology and therapeutics, and director of the Center for Smell and Taste at the University of Florida in Gainesville. Welcome to Science Friday. STEVEN MUNGER: Hi, Ira. Thanks for having me, and welcome to Florida. IRA FLATOW: Well, thank you. You know, I think people think that the sense of smell is very mysterious– how it works. So give us a little bit of an ABCs of what’s happening in the nose when we smell an odor. STEVEN MUNGER: Yeah, I think with smell, it’s a little more abstract for people. But really, smell– along with taste and also what we call chemesthesis, which is the ability to detect some of the chemicals in things like spices– these are collectively called the chemical senses. And in olfaction, the sense of smell, we’re sensing chemicals that are generally volatile and are wafting through the air. And we inhale those when we’re sniffing, or they come from our mouths, up through our pharynx, into the back of our nose when we’re chewing food or drinking a drink. And those chemicals interact with neurons– sensory nerve cells within the nose– that then carry that information back to the brain, and in most cases– certainly, for humans– we get a pattern of neural activity that we were late to something in our experience. And it tells us we have a tangerine, or we have a rotting fish, or whatever it might be. IRA FLATOW: But in mice brains, you found something extra going on– a whole different level of processing smells that’s socially informed. STEVEN MUNGER: That’s right. People might be familiar with the term pheromone, which a lot of animals use. And these are a type of a social odor that one animal will convey to another that often elicits a very stereotyped or very innate response. What we found was something slightly different than that, and it’s a dedicated olfactory communication between two individuals, but it allows them to learn something about each other and about their environment. And particularly, this is something that’s been termed the social transmission of food preference. It’s when one animal, maybe is out in the wild and eats something. And it’s not bad for him, he doesn’t die. He interacts with one of his compatriots, and they sit there and they sniff each other. The second animal will pick up both a social odor and the smell of the food that their friend ate. And that will be associated in their brain, and a preference will be formed. And so, the next time that that second animal encounter is potentially that food in the environment, they will say, OK, someone else I knew ate that food. It seemed to be OK for them. This might be safe to eat as well. It’s a learned thing. IRA FLATOW: Don’t we, people, have that kind of association– maybe not exactly the same way? STEVEN MUNGER: We do have that kind of association a couple ways. One thing we do is that we have substituted for that kind of communication, some ways, we’ve substituted language, tone of voice, facial expressions. If you and I were to go to have dinner this evening and each got a couple of different dishes, and you say, oh, this is wonderful. You should really try it. And I say, oh, this is horrible. Stay away from it. We’re able to convey that type of information. In a non-verbal animal, like a mouse, they use odors in part of that way to do. But certainly, we use odors to communicate between ourselves in more subtle ways. You mentioned the smell of a baby. That’s a key way for a parent and a child to bond through odors in that way. IRA FLATOW: And we also say that we’re good at recalling odors we didn’t remember we knew from 10, 20, 30 years ago. STEVEN MUNGER: Yeah. And I can’t say that we know for sure exactly why that is. There seem to be particularly tight connections between the areas in the brain that process odors, and the areas that deal with memories and deal with learning. And this sort of makes sense. And as I mentioned, we aren’t born knowing what a pizza smells like, or that something that smells like pizza is pizza, or that it is cilantro, or whatever it might be. Those are associations that we learn over time through our experiences. So having the detection of an odor and the pattern of activity it initiates in the brain be so tightly linked to learning and memory makes a lot of sense. IRA FLATOW: Now we’re always brought up thinking that in dogs, smell or our ability to track an odor is so much better than people. I mean, how does the human sense of smell compared to, say, a dog or a mouse? STEVEN MUNGER: So a lot of it depends on how you define better or worse. I mentioned before this idea of pheromones. Certainly, dogs like to sniff different aspects of other dogs, of what they’ve left behind, different body parts, and get signals that way. We don’t seem to have those types of capabilities as humans. But if we were just to talk about our sensitivity to general odors in the environment, we are actually remarkably similar. And there was a study done probably about 10, 12 years ago now, where this one laboratory relied on the graduate students to do this, actually had humans following a scent trail on the ground. And they were able to do it fairly well. So we have actually a remarkably good sense of smell, but we maybe don’t use it in as many different ways as some other animals like a dog might do. IRA FLATOW: That’s it. So we do have a powerful sense. You also work on treating smell disorders. What are those, and how common are they? STEVEN MUNGER: They are actually surprisingly common. The estimations can vary depending on the age. If we were to look at the elderly, the majority of people over about the age of 75 have a significant impairment in their sense of smell. If we were to look at a broader population in the US, probably, about 30 million people have a significant smell impairment. And there are different types. There are what we call anosmia, which is the complete absence of smell. Hyposmia is lowered smell. Parosmia is distorted smell, where you smell a flower, and it smells like burning rubber. And people even have smell phantoms, where there’s no odor there, but you think that there is. And these not only affect what we might think immediately– the way we perceive our food and drink, and the decisions we make about what we might want to eat because the smell contributes so much to the flavor perception of our food– but it really connects us to our environment. And the people who have an absence of a sense of smell often report that they feel isolated from each other. And they feel isolated from their environment. And certainly, they don’t have that same picture of the world. We just had a conference– it’s where I’m flying back from right now– in Philadelphia, where our Center for Smell and Taste, collaborating with two other research centers from around the country, put together a conference to try to investigate the best new strategies for developing therapies for individuals with smell disorders. And that meeting included patients. So we were able to hear from them, their concerns, and what would be most valuable to them. IRA FLATOW: If you have a smell disorder, is it something that originates in your nose sensors being faulty, or something in the brain sensors? STEVEN MUNGER: They could be either. So smell disorders, if we just think about the most straightforward one– anosmia, the absence of a sense of smell– that can result from head trauma that could damage either the brain or the smell nerve, the olfactory nerve that is going from the nose to the brain. People can lose their sense of smell after inhaling toxins, like in some industrial contexts. Some can lose their sense of smell after having a really bad cold, if those cells are damaged. But there are also congenital smell absence, where people are born because of a genetic mutation or something else. So there are a variety of causes. And it can be peripheral or in the central nervous system. IRA FLATOW: You know, we always hear that if you have a cold or you can’t smell, it really affects how you taste food also. How much of the flavor of food comes from my tongue? How much comes from my nose? STEVEN MUNGER: Yeah. You typically hear the number 80% of flavor is smell. And that number maybe is a little arbitrary. But certainly, a vast majority of what you think of as what most people would describe as the taste of food, really is the smell of food. And it’s the smells, the odors that are coming from the food in your mouth, going back up through your pharynx to your nose. If you remember as a kid, you’re drinking a glass of milk, and someone tells a joke and the milk comes out your nose? It’s because it’s all connected. And if you don’t have that, you’re really restricted to sweet, salty, bitter, sour, and umami, the savory taste. IRA FLATOW: Can people lose their smell and regain it later in life, if something happens? STEVEN MUNGER: It does happen, particularly, for people who have lost it due to a viral infection, that the recovery is more common. It’s not always the case, and a lot of people never recover. But those who’ve lost because of a head trauma, it’s much rarer. And then, certainly, those who are born without it, it would be very uncommon. IRA FLATOW: And what would you, as a scientist, like to know more about smell? What’s your burning question? STEVEN MUNGER: Oh, there’s a lot. I think one of the things that we discussed at this conference that set smell and taste apart from some of the other senses is just our understanding of how to measure the loss. You asked about, does it happen in the nose? Does it happen in the brain? If a patient comes into our clinic and describes a smell loss, we oftentimes– unless you can visibly see damage with something like an MRI, or through an endoscopy exam– you don’t know. And if you don’t know what has physically gone wrong or genetically gone wrong, it’s hard to crack the problem. IRA FLATOW: All right, we’ve run out of time. I see where you’re going with that. Dr. Steven Munger, director of the Center for Smell and Taste at the University of Florida in Gainesville. Thank you very much for taking the time to be with us today. Fascinating. Separate and capture scent molecules by their heat of vaporization. The olfactory system has privileged access to the regions of your brain that control memory and emotion.